Did you know most vacation listing sites charge an additional service fee for booking online? Did you also know most owners have a website or other means to #bookdirect and save those fees? Want to know the secret in how to find those owners? First of all, the listing sites are a great way to start your search. Just make sure you are comfortable with the site and don’t go overboard with your filters. Start with your must haves and then filter down. Each listing site is different and owners are constantly updating the listing. If a new filter is added it may be missed. A couple of listing sites added carbon monoxide detector to the filter list this year. Our condo does not have any gas appliances that would require a CO2 detector, but I will be adding one on my next visit so I can check the box. I would hate for you to miss out on your perfect vacation because you selected electric can opener and I only have a manual. It really doesn’t get that detailed but sometimes I feel like it does. Let’s say the hubby and I are going on a short getaway. I know I need a 1 bedroom with a beach view (I can walk a little bit as long as I can see the water) for May 1-4. I would like a pool and a king bed. Those are my musts! Now make sure that even though you have selected your location, the map is centered where you want to go. Most sites use Google Maps so you will be able to zoom, otherwise you are going to see every listing on the displayed map. I had a guest book my condo and he really wanted a beach 2 hours away. After you get your specific location – search! At this point you can filter from low to high. I usually avoid the low end (it’s just the way I shop for anything – even on amazon). I compare a few middle of the road listings to the high end ones and make sure I will be comfortable. Pictures and video become very important at this point. Most owners hire professional photographers so you should get a good visual of the property. Visual tours are even better! Now I have selected 2 or 3 properties I like and are in my price range. READ the listing description of each property! Most owners name the property and sometimes you even get the owners name listed. Google is your friend! This is also where Facebook comes in handy. Most owners and their properties are listed on FB! I know this seems like it is a little more work than you want to do. But let’s face it – you were already going to search the listing site so that’s a given. The only extra step is Google/Facebook. Who wouldn’t spend an extra five minutes to save hundreds?? (Not to sound like a commercial..lol!) Plus you get to connect with the owner directly and ask any questions you may have. Jot down your must haves, specific location, dates and price range. 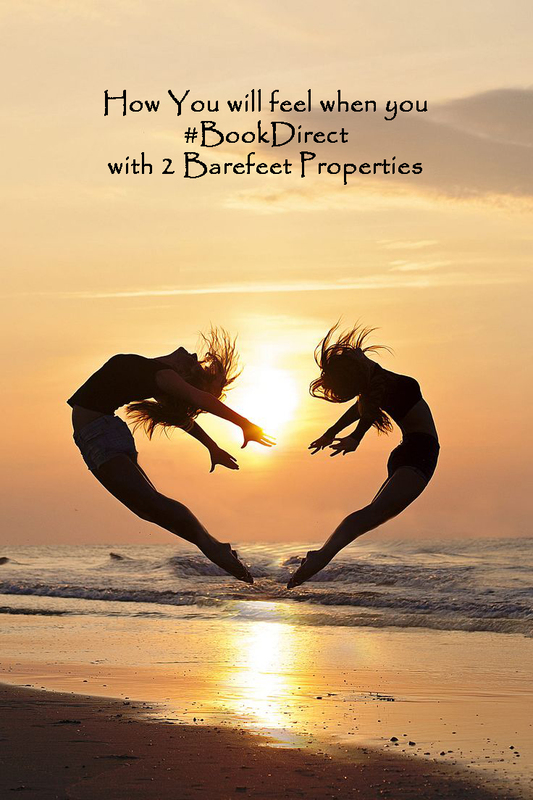 You have all the tools to #bookdirect and save money. That extra night out just paid for itself! So your stay has ended and you loved your new spot. Make sure you bookmark the owner’s site to contact them again next visit. Some owners offer discounts for repeat guests so who knows you could save even more on your next stay!